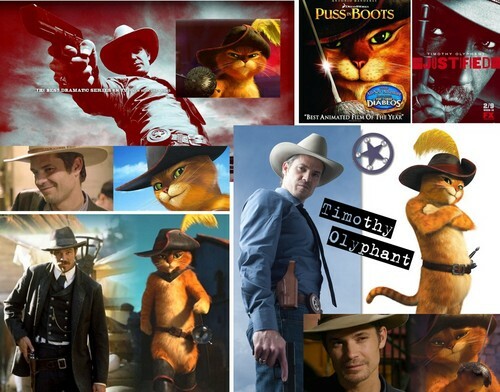 puss in boots. . HD Wallpaper and background images in the Timothy Olyphant club tagged: timothy olyphant justified actor puss boots. This Timothy Olyphant fan art might contain سائن ان کریں, پوسٹر, متن, چاکبورڈ, نشانی, تختۂ چاک, داغ گلاس ونڈو, داغ گلاس دریچہ, fedora کے, محسوس کیا ٹوپی, homburg, سٹیٹسن, trilby رکھا, فادورا, محسوس ٹوپی, ہومبرگ, سٹیٹساون, and ٹرلبی.